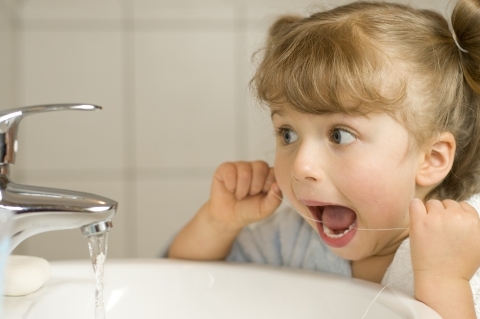 We cannot emphasize enough the importance of “prevention” as it pertains to regular oral hygiene care. In our view, such care has two equally important components: one, regular visits with your dental health professional and two, a thorough daily oral hygiene regimen at home. Both are necessary to for success. Excellent oral health means not only fresh breath, no pain and good biting and chewing ability leading to better digestion and nutrition. On a much broader scale, medical research tells us that there are important links between poor oral health and diabetes, respiratory, heart and other systemic diseases. There can be no doubt that good oral health contributes to good general health and to better overall quality of life. Since every one of our patients is different, the oral health program must be individually tailored to address each patient’s specific needs and circumstances. There is a set protocol in place for the assessment of oral health of each new patient that comes into our clinic. We evaluate, amongst other things, the health of the gums (sensitivity, bleeding, depth of tooth pockets), the state of existing restorations and the presence of any new decay. Our findings determine the appropriate treatment and preventative follow-up care. Patients diagnosed with severe periodontal disease are urged to undergo an intensive periodontal treatment and rehabilitation program immediately. This initially entails several closely scheduled visits which focus on stopping the progression of the disease and on the treatment of its underlying causes. Patients work very closely with their dental hygienists in Orleans, receiving not only treatment but also extra supervision and instructions. Once the problem is eradicated, patients can start scheduling their recalls every 3 months. We recommend the 3 months interval schedule to the vast majority of our patients. It is necessary for patients who need close supervision after recent periodontal treatment, it is appropriate for patients who currently suffer from mild periodontal disease and, last but not least, it is ideal for people who are healthy but feel strongly about prevention and being pro-active. Patients with a long track record of good oral health and good oral hygiene habits, can sometimes “get by” with visits to the dentist every 6 months. This scenario involves cleaning by the hygienist every 6 months and a thorough examination by the dentist every 12 months. In a few rare cases, patients are able to maintain excellent oral health with visits to the dentist only every 9 months. Good genetic endowment and strict oral hygiene regimen at home are a pre-requisite. 9 months recalls are by no means “a norm”, they are very much “an exception”. It is our view that Oral Hygiene Care represents the cornerstone of general dentistry, the cornerstone of basic and necessary dental care. It is about PREVENTION – and feeling better, healthier and happier. We evaluate, amongst other things, the health of the gums (sensitivity, bleeding, depth of tooth pockets), the state of existing restorations and the presence of any new decay. The primary goal of cosmetic dentistry at Mer Bleue Dental Centre is to improve and embellish a person's smile. We believe that healthy and functional can also be beautiful. We are very pleased to offer our patients of all ages in Orleans one of the most popular orthodontic treatments available today - Invisalign® clear aligners. Restorative dentistry in Orleans includes all procedures that aim at "restoring and protecting" the functionality of the teeth and occlusion (bite). © 2019 Mer Bleue Dental Centre. All rights reserved.